Dragon Door: How did you first get involved with fitness? Benji Williford: During my late teens and early twenties, I was involved with a movement and choreography oriented youth organization. I learned a yoga-based movement system that continued to influence my passion for fitness. Since then, I've always been involved in fitness-related activities and appreciated how I felt because of them. I've always wanted to stay healthy, age well, and rely on my body for my whole life. My body is the only asset that I’m guaranteed to have my whole life so I better take care of it. Later I tried some of the traditional fitness paradigms. I had a gym membership and worked with weight machines but never enjoyed it. I worked out on a schedule and would dread workouts. I had the legs and abs day, back and biceps day, and chest and triceps day. Some days were good, others were bad—but it was never really something I liked. I had a difficult time getting "fired-up" as I moved from one machine to another. The biggest motivating factor was my innate need to move, so I gravitated towards things like yoga and other ways of exploring bodyweight related modalities. This concept stayed with me through my adult life—four years ago this passion became my career when I opened my business, Chain Reaction Fitness LLC. I started to look at modalities which fit how I wanted to train, and how I believed we are supposed to achieve health and fitness. 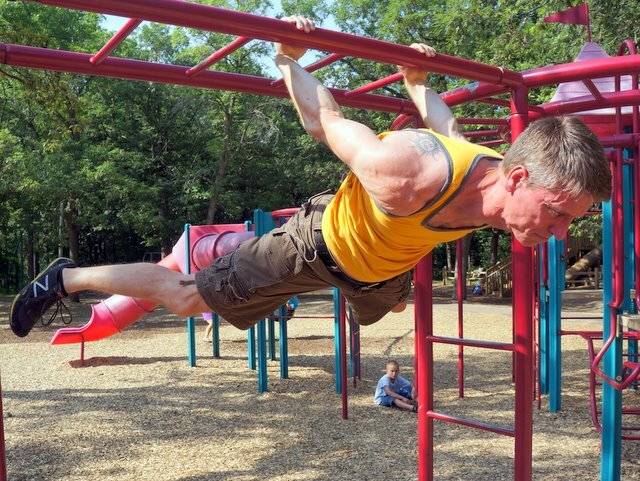 I researched gymnastics-style workouts, TRX suspension training, kettlebells, and other modalities that were mainly bodyweight and/or heavily relied on form. I was looking for safe ways to work out by using the body in an efficient, functional way and which would build a strong healthy body for life. Dragon Door: How did you find out about the PCC? Benji Williford: I'd learned about Dragon Door a while back and had bought a few books, one of which was Convict Conditioning. So, attending the PCC was the next logical progression. I was really interested in the PCC because the books—Convict Conditioning and Raising the Bar—I had from Dragon Door are top-notch. The PCC also fit with some of the training I’d done as a result of my gymnastics research and yoga practice. I was excited to see Progressive Calisthenics developed and packaged together as an official certification through Dragon Door. It's now easier to explain this type of training to potential clients and an official credential for this type of training will further enrich its value. It's also more standardized this way in terms of progression paths and safety considerations, but without creating dogma. The PCC material also helps us train people of all fitness levels safely through proper progressions, while helping them meet their goals. So, when I saw the first PCC I had to sign up immediately. Attending the inaugural certification course was just huge for me—I was sure it would be a groundbreaking event for the fitness industry. It was a fun and rewarding weekend. The PCC team was knowledgeable and really motivating, and it was such a good experience to be with so many like-minded, passionate people. Even though everyone walked in with a strong foundation, I think everybody found something that really challenged them. We had so many firsts happen over the weekend—it seemed like everybody had at least one first, if not more. For many people what might have seemed unattainable either happened or now seems like it is within their reach. The PCC Workshop reiterated what can be achieved by just using one’s own body. I had been working on my press flag a while back but had ‘shelved it." So, being able to hit it with both arms extended on a vertical pole—at least for a moment—at the PCC was a huge first for me. Dragon Door: How are you using the PCC knowledge with your clients? Benji Williford: It’s an extension of what I’ve been doing. I was moving in the right direction, and the PCC really delved deeper into those paradigms. My studio is very minimal and focuses on bodyweight exercise—calisthenics—and functional strength. I have a few pull-up bars, TRX suspension trainers, a couple of ropes, and that’s about it! 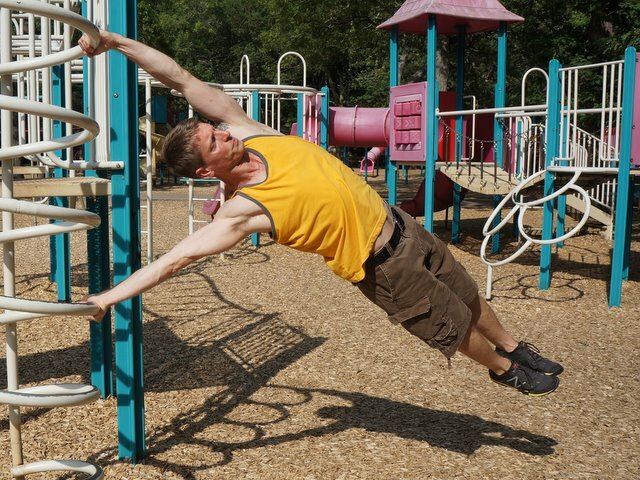 Primarily, we do full-body bodyweight workouts. 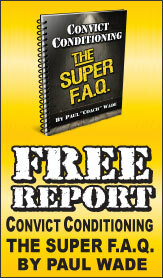 The PCC has given me additional tools to keep my clients and myself progressing. It also reinforced the idea that so much more is attainable than most people realize. 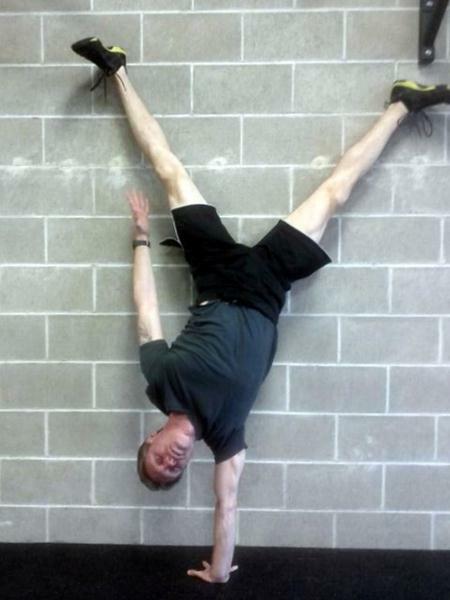 I was inspired to try a one-handed handstand for the first time with my clients and several have succeeded. It’s such an amazing experience to watch someone achieve a feat that they deemed impossible. 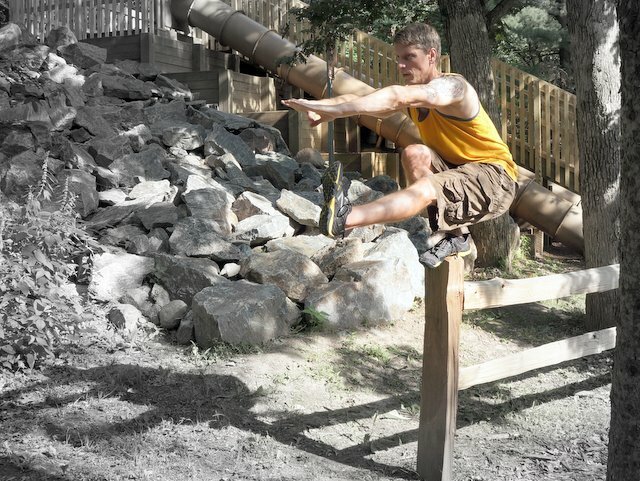 Dragon Door: With some of my clients, these challenges seem to help retain their interest as much as the prospect of health or physique improvements. Have you observed this with your clients? Benji Williford: Absolutely. I think the best stories are when somebody comes back to me and reports a non-workout related improvement. For example, one of my clients told me that she was able to have a lot of fun by tossing her step-grandchildren around her pool! These are the reasons why people come in and train, and why we sometimes do unusual things that might seem unorthodox in our training. But this type of training also feels good and feels strong. Over time, it leads to people being able to rely on their own bodies and maintain a high quality of life. The weight loss and other aesthetic changes are simply positive side effects. Of course my clients who train for athletics have also seen improvements in performance. Dragon Door: Who do you usually train? Benji Williford: I train both men and women. Some clients start with me in order to start an active lifestyle, while others want to improve athletic performance for everything from tennis to triathlons. I have even trained a few women through almost the full term of their pregnancies. And they’ve achieved some amazing things. Of course, I've always stressed that it's very important for them to listen to their doctor and listen to their bodies. We've also modified their training as necessary. All of the training we do is scalable and modifiable. My logic is to only modify when you need to modify—only for the right reasons and never for the purpose of taking the easy way out. My youngest clients are in their mid-20’s and my oldest is 72. At age 72, my oldest client is able to do bodyweight moves that my newer clients in their 20’s struggle to achieve. It's amazing what she—and anyone—can do by sticking with the training and continuing to progress. Dragon Door: That has to be so inspiring for everyone at your facility. Benji Williford: She is so motivating, and she’s very humble—she doesn’t understand how inspirational she is to others! I think it's so important for people to learn where their edge is, and how to find out what challenging feels like without going too far. It's important to not push past, through, or cause injuries in our training. This is why we work on form first. Three words that my clients hear all the time—and I even wrote them on a dry erase board—are FORM, FIT and FUNCTION. We work on form first, through form we get fit, then we realize the function we've gained through the first two steps and how it relates to everyday life. It’s basically summed up in those three simple words. Dragon Door: What’s next for you as an instructor, a professional, and as someone who trains? Benji Williford: My goal is to continually work toward refining better ways to train. I'm always looking for the best, most efficient ways for my clients to realize their goals.